Writing for Next Avenue, author and caregiving expert Sherri Snelling brings up a frustrating irony related to 9/11 rescue workers: although they are experiencing a higher-than-normal rate of cancer and post-traumatic stress disorder due to their work at Ground Zero, many do not associate their illnesses with their rescue and recovery work on “the pile.” Because of the passage of time, many rescue and recovery workers simply attribute their illnesses to the normal aging process or intervening causes. This can prevent 9/11 responders from getting the care they need and the benefits they deserve. Ms. Snelling quotes Dr. Michael Crane, medical director of the World Trade Center Health Program clinic at New York’s Mount Sinai Hospital, as saying, “The average age of the first responders in 2001 was 38. 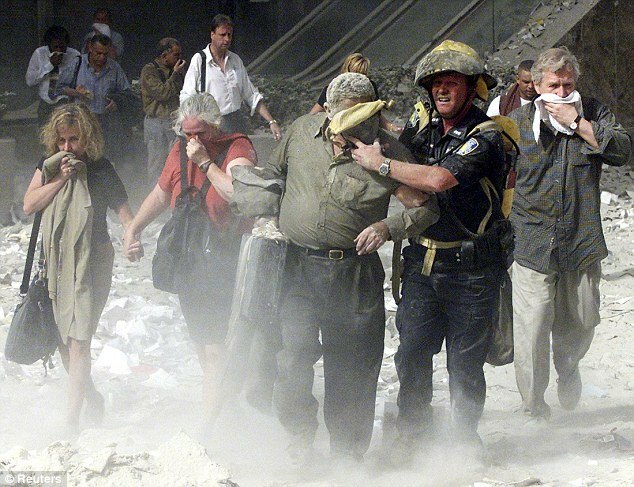 Today, they are 53 and at an age where they have a higher risk for diseases like cancer.” It would be entirely natural for rescue workers who may have experienced upper respiratory symptoms or gastroesophageal reflux disease years ago to miss the connection between 9/11 and their cancer, at least initially. Post-traumatic stress disorder, or PTSD, is also a huge problem among 9/11 responders. As Dr. Crane explains, “Being at Ground Zero…was not only a physical risk for the health of these rescuers, but it was a terrifying place to be. The dust was chokingly thick — but also having to deal with the human remains debris had real impact on their emotional and psychological well-being. It was literally hell on earth.” PTSD involves physical, emotional, and psychological symptoms, but as Ms. Snelling’s article asserts, it can also trigger debilitating physical illnesses: a study of 36,000 registry enrollees who reported PTSD…showed a 30 percent higher tendency to develop diabetes six to eight years later than those without PTSD.” Yet, returning to our earlier point, would a 53-year-old responder attribute adult onset diabetes to 9/11, especially if his PTSD has gone undiagnosed? As dedicated advocates for the rights of 9/11 responders, we at Barasch & McGarry want to see every eligible individual get the health screenings they are entitled to. Understanding the full range of health effects is critical if we are going to reach every 9/11 survivor who is suffering. If you were exposed to Ground Zero toxicity following 9/11, you may be eligible for health screenings, treatment and other benefits. Contact the experienced attorneys at Barasch & McGarry who have represented 9/11 survivors from the outset. Call 888-351-9421 or contact our office online.